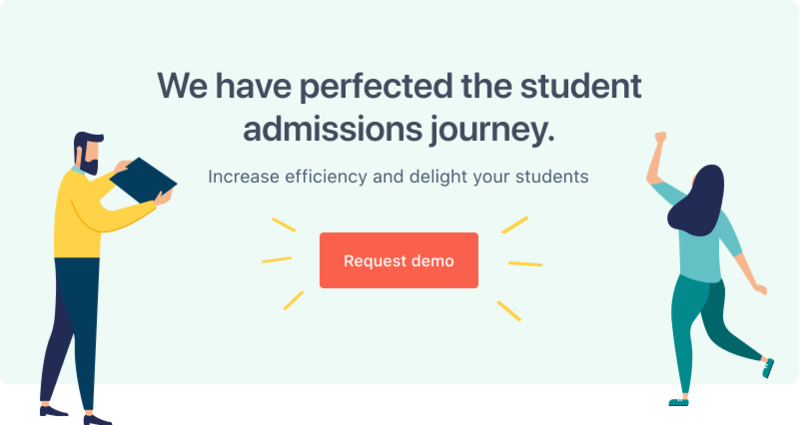 There are hundreds if not thousands of ways to engage prospective students through digital marketing - here’s our top 10 picks at FULL FABRIC! It seems obvious, but getting to know your target audience, their motivations and where they hang out is crucial, and should inform every part of a higher education digital marketing campaign. There’s no such thing as a ‘one size fits all’ approach - your strategy will be slightly different depending on the programme that you are marketing. For example, you might decide to focus more into LinkedIn for your MBA programme and Instagram and Snapchat for undergraduates. Prospective international students should be approached differently too. University of Sheffield are really good at creating content geared towards international candidates, like including their popular #weareinternational campaign. Using current international students to tell their story is a great digital marketing recruitment approach. 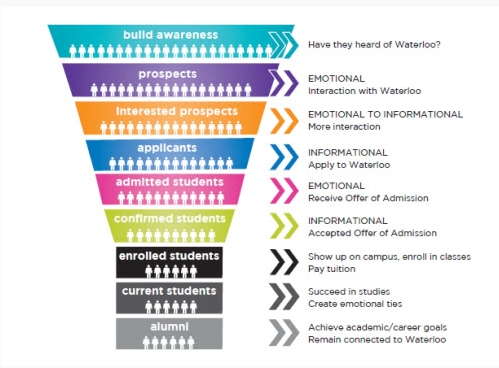 University of Waterloo’s Registrar’s Office is taking a strategic approach to recruiting students through digital marketing to ensure high engagement from initial enquiry to graduation. - By Jim Hundrieser, Strategic Enrolment Planning: A Dynamic Collaboration, (Coralville: Noel-Levitz, 2012). Think about what’s trending at the moment in digital marketing and how your institution could participate without compromising its integrity. Remember the Ice Bucket Challenge social media craze from 2014? The campaign raised more than $115m (£88m) for motor neurone disease in a single month and many universities got involved to pledge their support. ...Or Snapchat, or whatever the most influential social channel happens to be when you’re reading this - because let’s face it, trends come and go quickly in the world of social media. In the beginning, Facebook was king, now, according to a study from the Pew Research Center, teenagers have abandoned Facebook in favour of other social media platforms like Snapchat and Instagram. 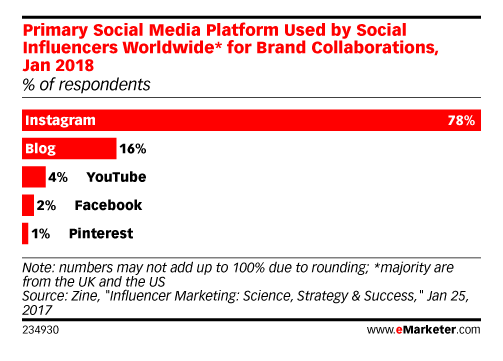 A survey of social influencers worldwide from influencer platform Zine found that almost 80% of people considered the Instagram to be their primary way of collaborating with brands. Thought WhatsApp was for catching up with friends only? Think again. The quicktime nature of WhatsApp means Gen Z are using it as their preferred medium of communication over email. According to MSL Group Asia, instant messaging apps were predicted to account for approximately 75% of all mobile messaging traffic in 2018, surpassing email and traditional SMS by miles. Not only is instant messaging more personal, it requires fewer resources. 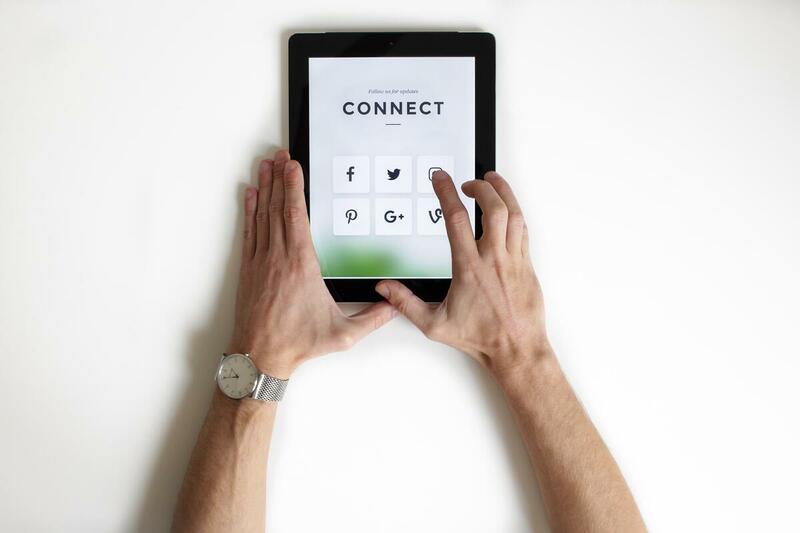 Unlike social media and email, the channel doesn’t require lots of content, images, etc., and because of this, the messages are often more powerful and effective. Creative campaigns are great, but they mean nothing without solid foundations, or rather, an easy to navigate website that contains all the information a candidate will need throughout the application process, from course profiles to instructions, for how to apply. Before embarking on a digital marketing recruitment campaign, audit your institution’s website first to ensure it is fit for purpose. After all, it is no use investing time and money in video content on YouTube targeting international students if there is no visa or fee information on your website. Enlist your university’s charismatic characters to help promote the institution. These can be faculty staff, students, alumni - even donors. Viewers are always going to empathise with personality over a business-like approach. According to research by Gartner, emotions play a huge role in any decision making process that involves an investment, like education. Individuals are also much more likely to share content that appeals to their emotions too. But how can this work in the context of higher education? Actually, higher ed is fertile ground for emotive marketing. Check out the approach below. Notice that the video doesn’t just focus on the academic, but the personal. With almost three million views, Western Sydney University’s highly successful and incredibly powerful video tells the story of Deng Adut, a graduate who overcame huge adversity to achieve a law degree and forge a career as a lawyer. Statistics from surveys are incredibly useful for university staff when it comes to evaluating things like student satisfaction and faculty success. However they can also be recycled for content purposes. Having access to these figures will enable you to create simple yet effective pieces of content that can be used to attract students. 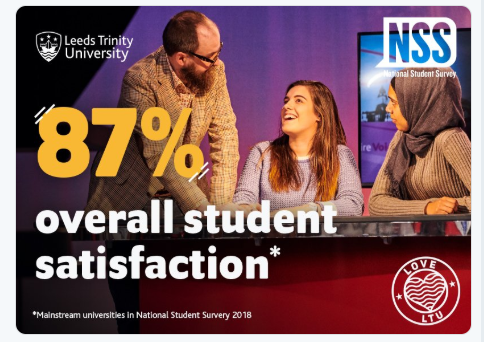 Below is the Student Satisfaction visual, created by Leeds Trinity. And last but not least, cultivate a sharing culture within your marketing and admissions team. Keeping ahead of the trends can be exhausting, so motivating and dedicating time to training and development is key. Keeping up-to-date with publications like The Drum with help equip you and your team with the knowledge you need. If you’re looking to improve your application rates this year through effective digital marketing, FULL FABRIC could be just what you need. Talk with us, by requesting a FULL FABRIC demo, to find out more.